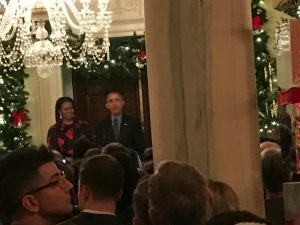 I have a friend who, due to the exceptional company he keeps, got an invite to this year’s White House Christmas party. His name is Rafe Chase. 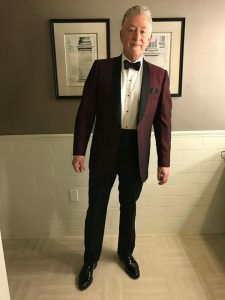 He’s a brilliant improviser, and is known to improv aficionados as one of the players who helped shape the unique, genre-driven, San Francisco style of long-form. Rafe is also a man who gives perfect gifts. And what better gift to give to my partner, Dixie, and me, who he was coming to visit shortly after the White House shindig, and who, like many Americans, since the last election, are feeling terrified, angered, and in shock about the direction our country is going, but a couple of adorable White House Christmas Cookies. 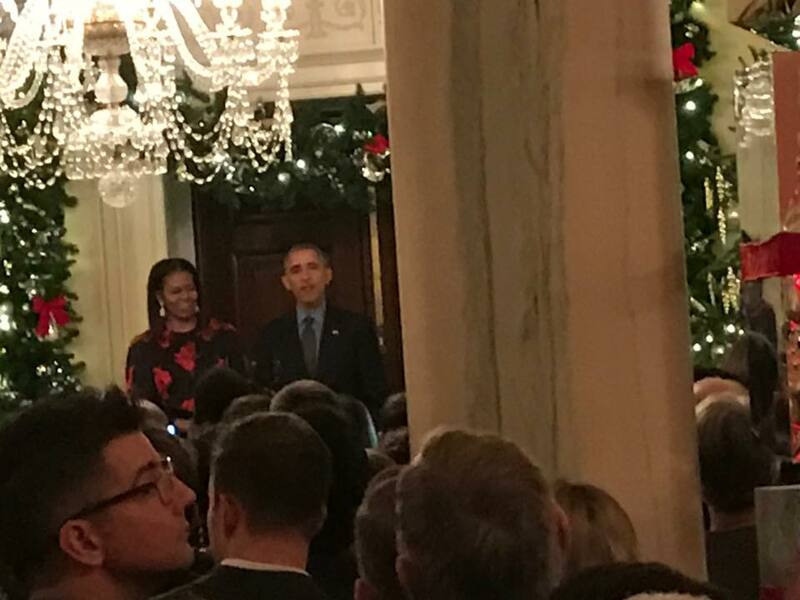 Rafe told us Obama was very funny when he addressed the guests. This is a big compliment coming from Rafe, who is pretty damn funny himself. Obama spoke as if he singlehandedly had done all the decorations. I can just imagine him saying that. It’s one of the things I’m going to miss about Barack: his understated charm. So unlike the lack of understated charm, which, come the New Year, will be moving into our country’s most prestigious house. Actually, I heard he’s not moving in right away because, well, who knows why? Because he doesn’t feel like it? Just like he doesn’t feel like listening to daily intelligence briefings? But let me return to the cookies, the adorable cookies. They made me feel good. The care with which Rafe packaged them, wrapping each little cookie in plastic wrap, then tucking them both into a little plastic bag with a White House cocktail napkin; and the care with which the White House bakers decorated each little cookie, icing the reindeer’s expression to look eagerly forward into a promising future, the Christmas tree to look abundant and rich with decorations, just waiting for unspeakable wonders to be placed beneath it; these things triggered in my childhood self a sense of All is Well. I’m not stupid. I know all is not well. I know that a minority of Americans just elected a dangerous narcissist into one of the most powerful offices in the world, and I know he’s filling his cabinet with men whose goals seem to be centered on big business and filling their own pockets, oil men. And I know that this narcissist, while having not yet even taken office, is already showing signs of turning his back on the very people who elected him. But these cookies, I don’t know, they make me feel like maybe all isn’t lost. I know what you’re thinking: Clifford, you’re really clutching at straws here. Yeah, I am. But it’s the best I’ve got this year. Happy Holidays! 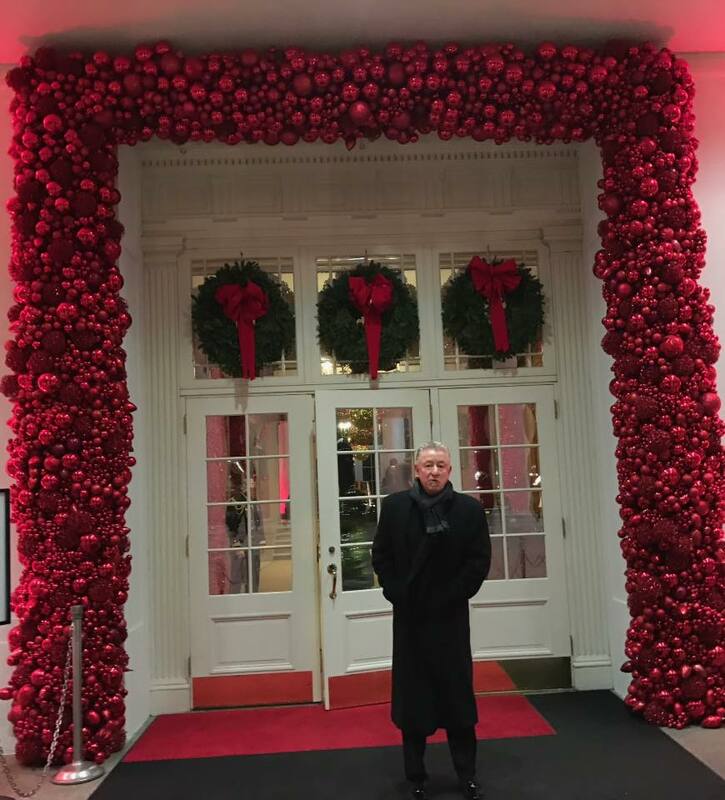 Rafe at the White House. Scarf by Versace, Coat by Armani. I love those cookies! A very nice post! Loved reading this and I too love Barack! That is what the cookies are for me. Thanks for your sweet words, Chris. You described the cookies so well, what they mean. We have to clutch at something and those cookies are pretty clutchable! Thanks for this. Nice to hear from you, Carsen. A bit of hope in the midst of all the craziness. Indeed. Nice to hear from you, Ruth. I don’t feel any better, but in a way you put a nice spin on everything. Sending you good thoughts. Ha! Thanks, Pat, for taking the time to comment. What a beautiful blog. Handsome man, there, Mr. Rafe! And what a kind person to bring you back such a special gift. Yes, All really will be Well….someday. Challenging days lie ahead, but if we focus on the kindness of people like Mr. Rafe, and the brilliance of people like Mr. Obama, then we will get through the darkest of days. What Chris Pombo said. Rafe looks so chic and is so amazing and such a beautiful person, like Obama. How wonderful that he was invited!! I’m still in a deep state of grief over this election and will miss the intelligence, decency, compassion, and beauty of the Obama family! Thanks for sharing this!!!??? Thanks for stopping by! Agreed, Chris said it well. Loved the description of his stylish attire too! 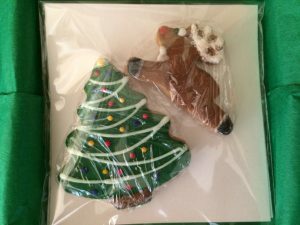 I will never look at Christmas tree cookies the same way…ahhh..